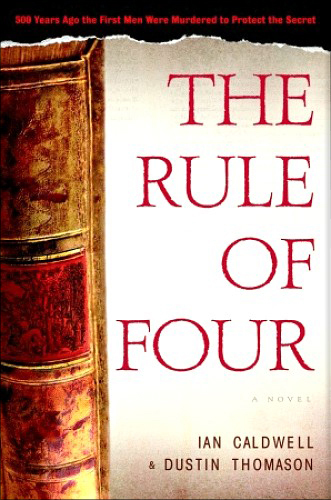 The Rule of Four is the first book by Ian Caldwell and Dustin Thomason. It is an Murder Mystery, an Ancient secrets thriller. This is a story of four friends: Tom Sullivan ( narrator ), Paul , Charlie and Gil. The stroy set at Princeton in the spring of 1999. Tom is a son of a Renaissance scholar who’s main aim in life to decipher the mysteries “Hypnerotomachia Poliphii”, was killed in an accident. Hypnerotomachia Poliphii is the 15th-century book written in a variety of languages like Italic, Arabic, Roman etc and said to contain hidden messages and mysteries that have never been solved by anyone in 500 years. The four roommates, Tom,Paul,Gil and Charlie, in which Paul is doing his thesis on “Hypnerotomachia Poliphii” and with the help of Tom he uncovers the some of it’s secrets. 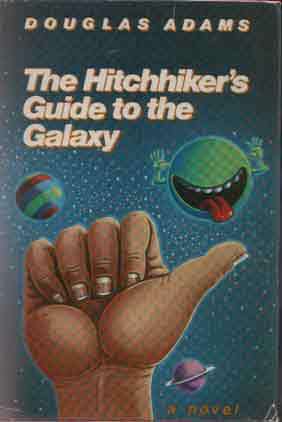 The book contains the keys for deciphering the text in the form of riddles and puzzles. The “Hypnerotomachia Poliphii” is said to be most mis-interpreted book, no one knows who wrote, I mean who is the author of this book, until recently. Paul’s mentors Vincent, Richard Curry, both are the friends of Tom father. 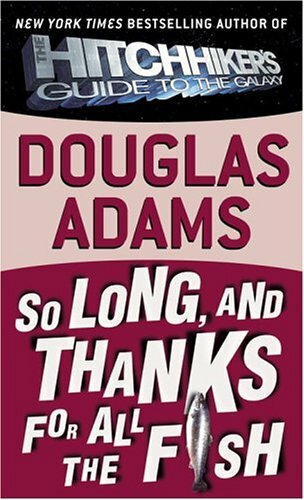 Tom helps Paul to solve some of the puzzles in the book, but after his relationship with his girlfriend nearly came to breakup, he realizes that he is spending more time with book, like his father. So he withdraw from research and tells his GF that he will not work with Paul. After Tom withdrawal, Paul continues his research on book with Bill Stein. 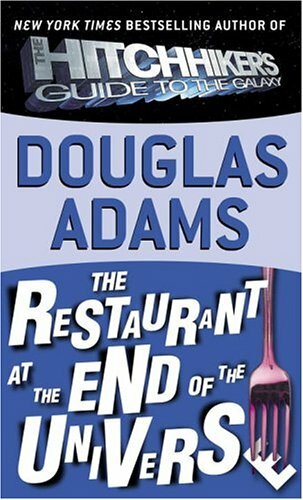 Bill stein one night gives a dairy to Paul, which will unlock the most of secrets of the book, and tells him to return it before next day morning. Paul tell Richard about dairy, who accuses Vincent for stolen it from himself. In the same night, Bill Stein is murdered. 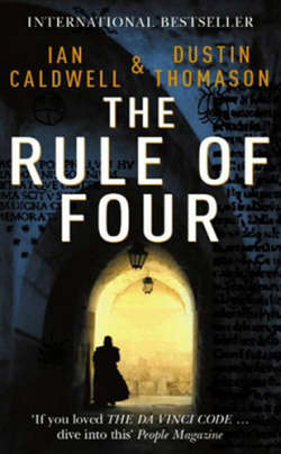 The Rule Of Four is opens with Tom telling a story , a ancient story in which two friends where told to deliver a letter to Rome, they are instructed not to open it, but on they way to Rome. they open the letter, and seal it as if it is not opened. but at Rome, there master came to know that they have opened the letter, he kills them in ancient, ritual way. Ian Caldwell and Dustin Thomason has tried to come up with some thing like ” The Davinci Code “, but failed to do so. 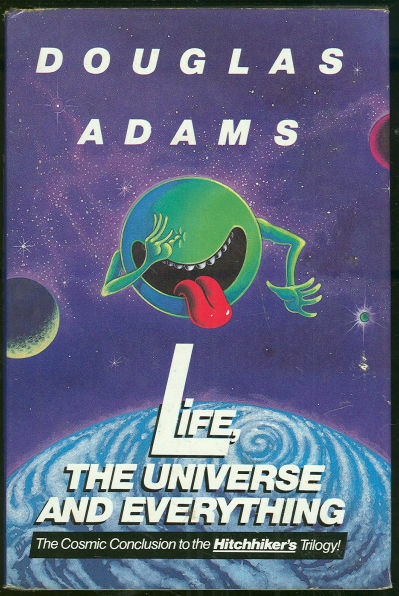 The narration includes some unnecessary details, for example description of the character and and there previous life whose role in the novel is not very lengthy. Time has changed, according to time our favorite characters also keep on changing. Just like Sherlock Holmes, If you are great follower of Holmes and Read all his adventures then be prepared to see new Holmes. He is not like the Holmes we read in books, who always wears coat, hat. This Holmes does not prefer to wear the hat , and coat. He prefer dirty clothes, fights with boxers and fighters and demonstrate his fighting skills, he is expert in shooting, love, romance and bla bla bla. What not changed is Holmes intelligence, his observation ! Okay, now coming to Watson, as Holmes says in “my dear Watson”. He also changed , but not much. Irene Adler also changed a little bit, she is the one who has once outsmarted Holmes in the past,in ” A Scandal in Bohemia”. 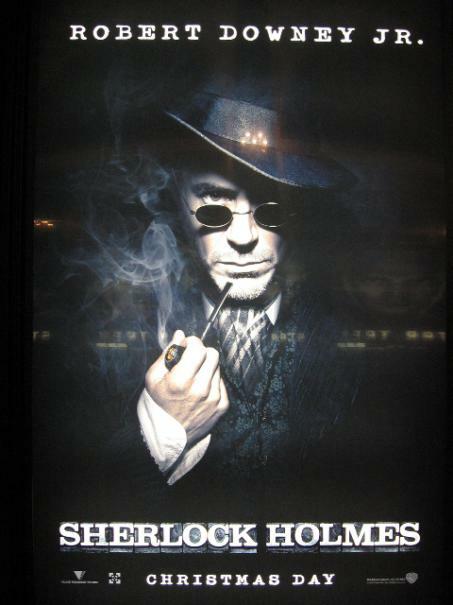 Robert Downey Jr. is played the role of legendary character Sherlock Holmes. Jude Law is played the role of Dr.Watson. Rachel McAdams played the role of Irene Adler. Sherlock Holmes, lives in ” Baker Street #221B “. In 1891 London, Holmes and Watson saves a girl from Lord Blackwood who intended to ritually murder that girl. After three months, Watson comes with the later from jail that , ” Lord Blackwood wants to see Holmes before he hanged.” Holmes meets him, he tells Holmes that three more deaths will occur after his execution that will change the very nature of their world. He also warns him that he will not be able to stop him, after this he is executed by hanging and declared dead by Dr.Watson. Irene Adler comes with new case and wants Holmes help to find Reordan, Holmes starts the search for him. Three days after Lord Blackwood’s execution, people find his tomb broken from inside, eyewitness says that they saw him walking out of tomb. So black-magic practitioner returns from the dead to haunt London, and Holmes must solve the mystery behind his reappearance and deaths caused by black-magic. This film is not based on the any of the novels of Holmes by Arthur Conan Doyle, but instead the characters ( Holmes, Watson and Irene Adler) are from the books of Holmes by Arthur Conan Doyle. 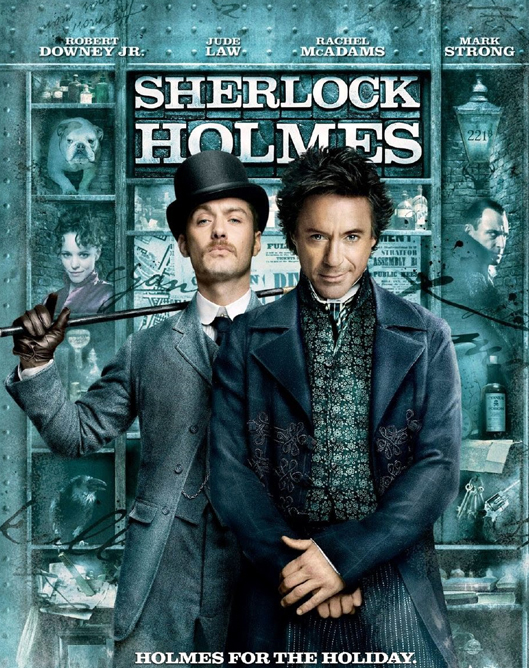 Overall a good movie not very good, because of the alternation made to Holmes character. I don’t know whether you like it or not, but I love to see the 80’s Holmes as described in the books or novels by Arthur Conan Doyle. 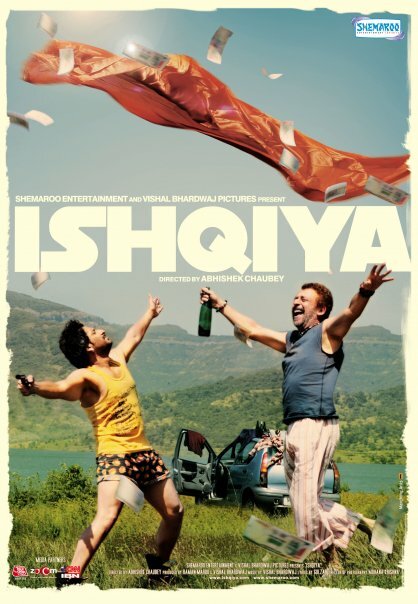 Debutant director Abhishek Chaubey has done a excellent job with Ishqiya, very well directed and narrated with suspense. The climax of the movie leaves you confused, except for the climax, rest of story is superb, Camera work is good. Cinematographer Mohana Krishna has done a great job. Dialogue are also good, just like Omkar, Dialogues for this movie is written Vishal Bhardwaj. Story is written by Vishal Bhardwaj, Abhishek Chaubey and Sabrina Dhawan. 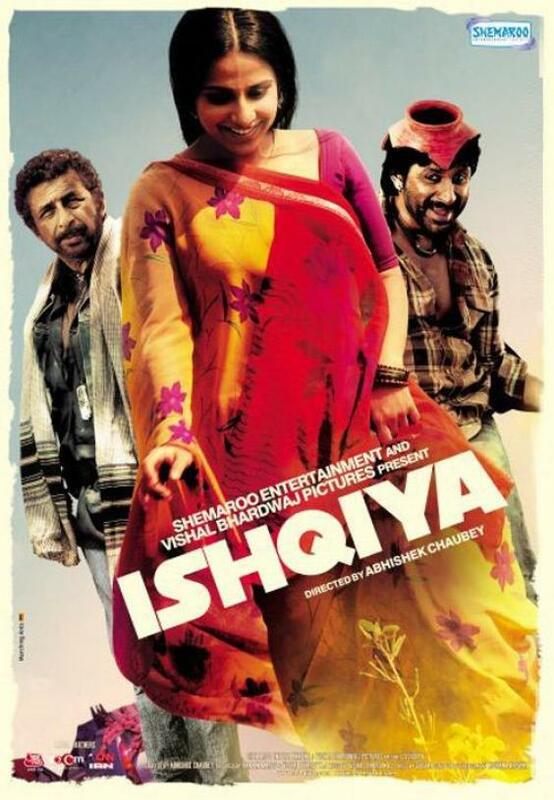 What makes Ishqiya memorable ? The answer is : dialogues , performances, cinematography and songs [specially Ibn-E-Batuta and Dil Bachcha hai]. find his widow Krishna (Vidya Balan) in the house, she lives alone in the house. They both fall in love with Krishna. They hide the money stolen from Mushtaq in Krishna house, again Mushtaq captures them tell them to return money or he will kill them. When both look for there hidden money, the bag was stolen. then Mushtaq gives them one month to return his money. After this Krishna decided to help them, they plan to kidnap the millionaire in the area and demand a ransom, but without knowing the actual intentions of Krishna. Naseeruddin Shah’s acting was too good, at this age he has done the excellent work, Arshad Warsi has done justice to his character. Vidya Balan also played a good rule as a gaon ki guri. This movie is rated ‘A’ [Adults] because of the dialogues and some scenes. Overall this movie is different from the usual movies, I think you will love this movie.